Images will be more critical in 2015 than they have to date – particularly on Twitter – because not everyone is currently using them effectively. There is a great advantage to using them now that will not exist when most tweets and other social media shares include an image. Today, any image gets more attention; in the future only the most compelling images will. Because Canva makes it so much easier to create custom images than any other tool available for free, we have done several #SocialCafe Google Hangouts with tutorials on how to create images for various social networks using Canva. I’ve included the videos and video highlights below. The optimum size for images on Twitter is twice as wide as they are tall. If your images are square, the top and bottom will be cut off and only the center section will be visible. Note that you can sometimes expand images on Twitter to see the entire image (by clicking a link that says ‘expand’), but you can’t expand all images. That is why it is best to use images that are the appropriate proportion. Tip for working with images: always start large and reduce. Making small images larger will cause them to get fuzzy. Choosing ‘Twitter post’ in Canva creates an image 1024x512px which is way larger than necessary. A better way to size the top image for your post is to make it as wide as looks good in your blog and half that tall. For example, on GrowMap I use images that are 560 wide x 280 tall. If your blog is wider you might use 600 x 300. If it is narrower you could use 450 x 225. The average blog is between 560 and 640 wide. I save my Canva images as .png to use to upload manually to Twitter and other social networks and resize them to 72 dpi saved as .jpg with the same name. This allows me to quickly find the two options and know which one is in my blog. Pinning an image linking to any blog post you want to feature on Twitter will give it much more visibility and garner retweets and favorites. Only one tweet can be pinned at a time. Pinning a new image will replace the image that is currently pinned. You can only pin images you tweeted – not retweets. YouTube videos can also be added to tweets and pinned. IMPORTANT: Do not leave tweets with old dates pinned because people who don’t look further down will think your account is dormant and could unfollow you. If you want to keep promoting the same image and link, create a new tweet and pin it with today’s date. Choose a layout first; clicking on a layout will cause you to lose whatever you’ve made so far; some layouts are free, but others cost $1 and they don’t tell you until you want to save your creation. If you need to know, put the layout on an image and see if you can download it before you start editing it. Layouts with a Canva watermark on them will not be free. Using Canva is free until you download the completed image; if you use any of their images or non-free components you pay to download. Most images used in banners cost $1 and a credit card is required; Canva does NOT take PayPal. Make sure the final image has auto-saved before you download. You must click out of the text box or resizing options before they will save. Look at the image once you’ve downloaded it to make sure it is the final version before saving and uploading it to your blog or social network. IMPORTANT: layouts do NOT say $1 on them, but some do cost $1. The layouts with Canva watermarks on them (the word Canva visible on the image) are the ones that are not free. In our second #SocialCafe Google Hangout about Canva we discussed the canned sizes Canva provides for creating images specifically for Facebook ads, Facebook posts, and Facebook apps. Much in this video is a repeat of what we covered in the first video, but if you aren’t a Canva expert watching it will make it easier to remember when you need it. WARNING: do not apply backgrounds over what you’ve created or you will lose what you did; there is no undo! Don’t miss the best tip I’ve ever heard for selling on Facebook I learned from Gary Vaynerchuk about his Seth Godin ad targeting the followers of his testimonial givers at 8:30 into the video above. This tip would also work on LinkedIn or anywhere you can use an image in your ad including on blogs and websites. NOTE: Facebook group headers are not the same size as Facebook business page headers. In this last video I mention an excellent post on How to Design Facebook Ads That Get Results. There is explosive growth in social media ads including LinkedIn and Facebook advertising. If you are going to pay for your images to be viewed you need to know how to get them to convert. LinkedIn originally only allowed header images on paid accounts, but I recently noticed I can now add a header image on LinkedIn. I do not have a paid account so most likely anyone can now add a header image at LinkedIn. LinkedIn indicates their recommended size is at least 1400 x 425. By using Canva to create your header images, you can then figure out where to click to change your social media cover images on Twitter, Google Plus, Facebook, LinkedIn, and Tsu. Hopefully these Canva tutorials show you how easy it is to create your own images. Don’t forget that creating compelling images and using them on Twitter today is far more beneficial than it will be in the future because soon everyone will be doing it. Be an early adopter and you can really grow your Twitter and other social network followings. Want the Tips & Strategies? Please bear with us as we make changes to this section. Thank you. I am glad I found this blog. I was really skeptical about using twitter in the past, but the more I read some of these posts the more I realize that I need to get with it. Thanks for the great post. I am definitely bookmarking this. 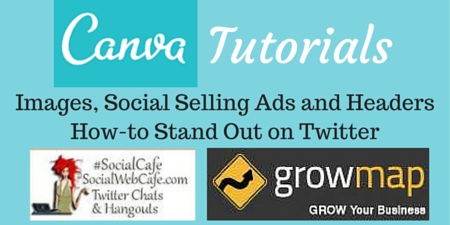 The videos and images created using Canva can also be put to display advertising. At any convention or trade show, one can upload the video and have realtime conversations according to directives of the video. The experience is pretty similar to that of social medi a gatherings. This article is proving to be more useful than it was originally intended to be. Thanks for the good work. Great tip, Irvin! Thanks for sharing additional ideas for the readers. Thanks for the facebook ad creation tutorial. Haven’t had any success in FB ads when compared to Google ads. Sure thing, Sylvian. Thanks for reading 😉 Interesting feedback, too, on the success with Google ads versus Facebook. Thanks for sharing that feedback. Standing out from the crowd in Twitter is really important for Twitter users because it generates huge number of followers in our social profiles. Thanks for your guide. You’re right. Twitter is consistently my #1 source of traffic. I just installed a new premium social sharing plugin called Social Warfare to generate even more traffic from Twitter. It makes adding Click to Tweet boxes really easy. Frist of all thank you so much for that videos, they are really very helpful for me. 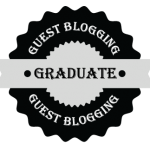 I’m a regular reader of your blog and now want to say that this blog is awesome. You’re welcome. I knew I needed a video for people to truly understand why they must have large images on Twitter. Twitter cards make it so easy to automatically have beautiful images in every tweet that mentions your blog that there is no reason not to use them. This is really nice list, using this one can surely rule the social media in its own niche. The point always remain the same to stand out of the crowd. I recently discovered Canva whilst reading another popular blog and it’s a great free tool. So far, I have only used it to create infographics. Twitter images are my next challenge so I was pleased to read your advice regarding dimensions, that’s really helpful. your post is really good. I like your suggestions. Thanks for sharing. You have made some great efforts to aware us about the usage of Twitter. How to Stand out on Twitter is a great written article as well as a great tutorial for newbies. I will bookmark your post and go through it later on. I need to learn more about Canva and how I can use it with my social media activities. Enjoyed to reading this article and also forward to my Co-workers. I am in tons of social media sites but not on twitter. I find this very complicated but because of this blog, i guess i will be signing up! Great..Great..Great..Nice tutorial, i really find it very useful and also get some genuine tips for my tweeter profile. I have added this to my favorites. Keep updating. First i have to Thanks to you because its very effective post for me. I was really skeptical about using twitter in the past. Your videos is also helpful for me.I’m a regular reader of your blog and now want to say that this blog is awesome. thanks for sharing this amazing post.i will certainly implement it on my work. Very knowledgeable article. Thanks for sharing such kind of information with us. After reading this easy to ads on FB. heya, thanks for sharing such kind information..i loved this blog.Very interesting. Hey! Thanks a lot author i have used these tricks at my twitter fan page of my website for paypal while uploading pictures and it was amazing. Thanks for the facebook ad creation tutorial.I appreciate the feedback. This article is proving to be more useful than it was originally intended to be. Thanks for the good work. Thanks for sharing this information.it was a great blogs from your.Very interesting. a great post you have shared with us thank you…!!! agree with you, i also prefer canva to full fill the requirements in different social media sites. Thanks to share with us. It is an social media we can use it in a unique way to express and develop our small side it to large and for marketing for promotion.I am shearing your best article so thanks…. I appreciate the kind words, Gohil. Thanks. Great post. Thanks for sharing the nice tool canva for editing the pictures. Thanks, Sandeep. I’m glad you found the post helpful. Thanks for sharing this post. Such a wonderful tips for using Images on Twitter. Great Help !! Any images that we can share with each other, to help the social experience, including social media like Twitter, is worth sharing, eh? Thanks Anjali. This is extremely helpful. A lot of knowledge in a small piece. Thanks for your post. I am eagerly waiting for your next update. I’m glad you found it helpful, OkCupid. Thanks to share with us.It,s Amazing post and tools to share in this post…but Canva is the best tool from edit pictures so i am using this tool from my pictures…. Thank you, OkCupid. I’m glad that you have found Canva to be helpful. hey thanks for sharing this… this was really helpful and you wrote it very well gail…. Thank you for the feedback, Shashank. I am glad that you found it helpful and thank you for the kind words. Nice post ! Great article .Keep us updated . Previous post: Experts Share Why They Love Twitter Chats and Why You Should, Too!